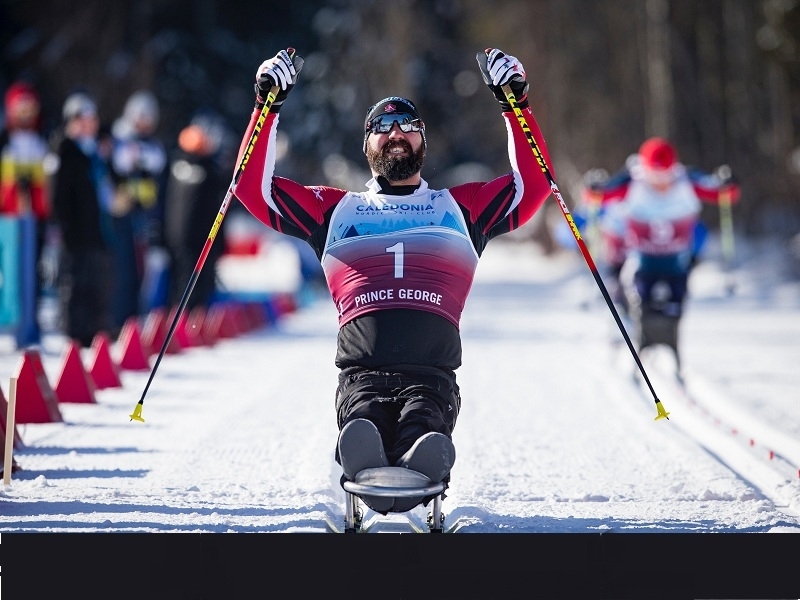 USPA NEWS - Canada's Collin Cameron rocketed to hisFfirst World Para Nordic Skiing Championships title in Prince George, B.C. The 30-year-old Cameron, who won a Silver Medal in Biath, successfully defended Home Turf with a Golden Performance in the Men's Sit-Skiing Sprint Competition. "It's amazing. It is a Dream come True," said Cameron. "I just wanted to come Out Here and go as Fast as I could. The Skis were like Rockets today so Kudos to all of the Wax Techs and Supporters on the Team that were aPpart of this Today." Canada's Collin Cameron rocketed to hisFfirst World Para Nordic Skiing Championships title in Prince George, B.C. The 30-year-old Cameron, who won a Silver Medal in Biath, successfully defended Home Turf with a Golden Performance in the Men's Sit-Skiing Sprint Competition. "It's amazing. It is a Dream come True," said Cameron. "I just wanted to come Out Here and go as Fast as I could. The Skis were like Rockets today so Kudos to all of the Wax Techs and Supporters on the Team that were aPpart of this Today." It was Sweet Redemption for the Sudbury, Ont. Native, who is one of the Most Respected Athletes in the Para nordic World. Heading into his First Paralympics one year ago, Cameron's Medal Focus was on the Sprint Event. He came away from PyeongChang with Three Bronze Medals – Two in Biathlon, and one in the Cross-Country Ski Relay. It was a Bittersweet Games following a Fourth-Place Sprint Result. "I've Honestly been dreaming about this Day since Korea," said Cameron, who has two IPC World Cup Sprint Victories in his Career. "I just wanted to come here in Front of the Home crowd and get a Win. My First World Championship Win – this feels Amazing!" Cameron set a Blistering Pace in Each of his Three Trips around the One-Kilometre Track on a Frigid Monday Afternoon at the Caledonia Nordic Ski Club. He dusted the Entire Field by nearly 10 Seconds in the Qualification Round. With the Fastest 12 Athletes advancing to the Semifinals for the Head-To-Head Heats, the Former Para Ice Hockey Player punched his Ticket into the Finals when he crossed the Line first in his Heat. The Fastest Three Athletes in each of the two Heats moved onto the Finals. "I was Super Confident after qualifying. That was a Good Boost of Confidence knowing the Skis were Wicked Fast," said Cameron. Cameron shook off a Head Cold that he's been battling all week to lead the Fastest Sit-Skiers on the Planet one Final Time through the Tall Pines lining the Nordic Tracks en route to winning the Gold Medal in front of a Boisterous Canadian Crowd. "I felt Really Good. Everyone around me believed in me Today. It feels Amazing," added Cameron. "To do this on Family Day is Even More Special. My Immediate Family are all Back Home, but my Team is my Extended Family and I have had Lots of Moms and Dads on the Team taking care of me over the Last Couple of Days. It is special to share this with them today." Cameron finished ahead of American Daniel Cnossen, who settled for the Silver Medal. Ukraine's Taras Rad was Third. Two Canadian Women secured a Spot in the Women's Standing Skate-Sprint Final. The Youngest Woman in the Field at 18, Natalie Wilkie, finished Fourth while 28-year-old Emily Young fought for Sixth Place. Wilkie, of Salmon Arm, B.C., scrapped her Way Up and Down the Hills on the Rolling 1.5-Kilometre Track, but finished just Shy of the Podium. A Third-Place Sprint Finisher at the 2018 Paralympic Winter Games, Wilkie was in a Full-On Battle with Two Other Skiers for the Bronze Medal with just under 500 metres to go. Taking Advantage of Lightning-Quick Skis, Wilkie tried to make her Move as the Athletes charged back in front of the Stadium but got boxed out up the Final Climbing and couldn't Advance out of the Fourth Position. "It was a Good Fight," said Wilkie. "It was tough out there. I thought I was going to be able to catch the Ukraine Skier for Third, but I just didn't quite get her." Norway's Vilde Nilsen won the Women's Standing Sprint Title. Liudyla Liashenko, of the Ukraine, was Second, while Bohdana Konashuk, also of Ukraine, finished Third. * Photo Cover : Collin Cameron captured his first-ever world championship title at the 2019 World Para Nordic Skiing Championships. Keywords: Ruby Bird, Yasmina Beddou, Silver Medal In Biathlon, Collin Calerin, World Champion At Para Nordic Skiing Championships, Men S Sit Skiing Sprint Competition.